I have loved the Sean Dietrich covers for the Senyaza Series. They’re inspired works of art that usually touch on the very core of the stories and if I could have continued using him for new books, I would have. But that wasn’t happening. I had to switch artists for the new books and I decided to listen to all the feedback I’ve been getting and switch up the old covers, too. The Dietrich covers were sharp and striking and didn’t tell potential readers who were scanning a list of thumbnails a damn thing about the books. They were so confusing that even after reading the blurb and being informed the books were for adults, one noted reviewer said she wasn’t certain they weren’t Middle Grade novels. Covers have that much influence. I know many of my current readers have loved the old covers. Believe me, I have too. But I also love the new covers and I hope you’ll be willing to give them a chance. My new artist is Ravven, who also did the Citadel of the Sky cover. The new covers will be available on the ebooks going forward. Print books with the new covers will become available perhaps within a month–and for a while yet the old covers will also be available. It’ll be a Pick Your Favorite Cover situation. 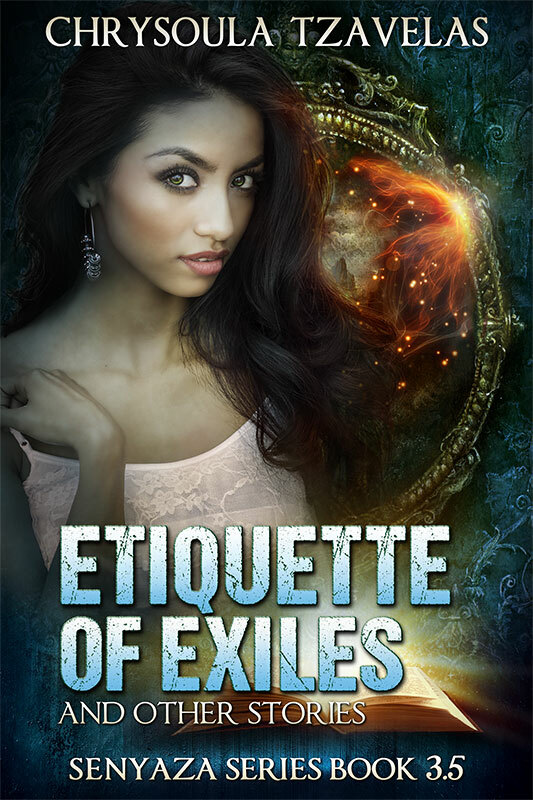 And introducing the cover for the forthcoming collection of short stories, Etiquette of Exiles. 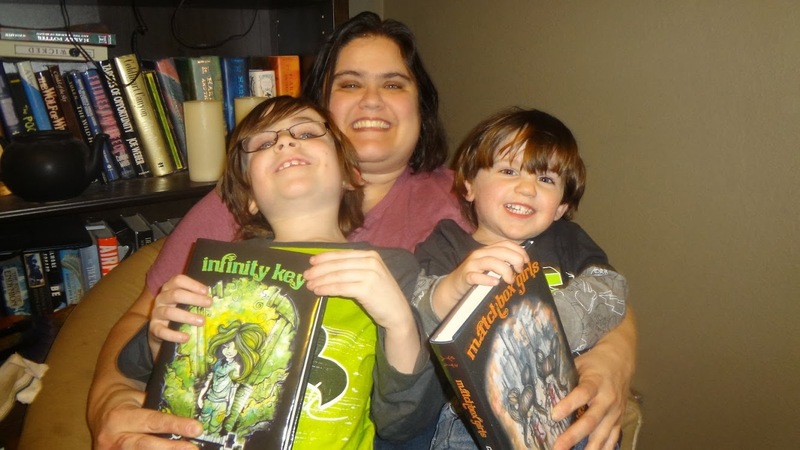 It mostly covers the first year after Infinity Key ends, and features stories about Penny, William, the Queen of Stone, Severin, and the twins– among many others. Otherwise, it’ll be out via retailers around May 15 and you can pick it up then! Hey there! Matchbox Girls is 99 cents at Amazon/Nook/Kobo. It’s also available for the same price and DRM-free at my publisher, Candlemark & Gleam. Soon we’ll be doing a cover reveal (and hopefully a Goodreads entry) for WOLF INTERVAL, which is Book #3 of the SENYAZA SERIES. It’s due out in October! For those new to this urban fantasy series, each of the three SENYAZA books follows a different heroine (two of them costar in #4, which is currently being written) as they face angels, faeries and monsters. This sale is a great time to give it a try, or if you’re already a reader, let a friend know! NIGHTLIGHTS has a new cover! I’m also giving away a free Amazon Kindle copy via Facebook today and tomorrow; just head over there and drop me a comment. This blog is now hosted on WordPress.com, but all the links and feeds and stuff should still work. We’ll find out! I can now write posts without having to wait 30-60 seconds for Dashboard interactions to complete. There may be the occasional ad below my posts; I’m saving up writing income to make those go away. The blog also has a new look. Hate it? Let me know. I’ve set up a mailing list to notify readers of new releases (and possibly the occasional other thing.) You can sign up here. Apparently mailing lists are the equivalent of bookstore shelf space, and how I maintain connections to an audience. I’m looking forward to finding out! 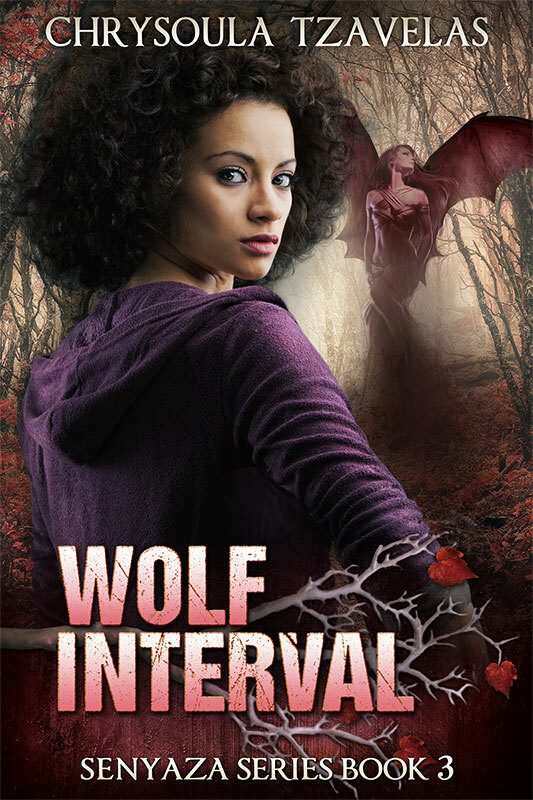 I’ve received edits on Wolf Interval, which is the third Senyaza book. We’re aiming for an October release. I may also have news on other, non-Senyaza projects soon. I hope so! Here’s a cute picture of things I’ve made. I’m very proud of all of them. “At long last, we can announce this officially: Candlemark & Gleam will be publishing the next book in the Senyaza Series by Chrysoula Tzavelas, sequel to Matchbox Girls! When her best friend is pulled into the supernatural underworld, Branwyn isn’t about to sit on the sidelines. Unfortunately, Branwyn is decidedly mortal, and in the supernatural underworld, humans are weak and helpless, no better than toys, tools and prey. But she isn’t having any of that. Branwyn wants to face the world on her own terms, mortal or not. The book that might or might not still be known as Gravity's Angels is Feature Complete. Now all that remains is QA and bugfixing. Er, I guess we call that 'a finished draft' and 'revision'. Right? Anyhow. After a TON of work getting to this point (it's 82k but eking out that 82k against the backdrop of household and baby was HARD) I feel like I deserve a celebration. Jimmy, where are the balloons? At least on Amazon. Other sites coming soon! If you enjoyed Nightlights as a serial, please consider picking up the ebook version for a friend who prefers their e-reader. If you enjoyed it but couldn’t keep up with the format, now’s your chance to try it the old-fashioned ‘novel’ way. I’m so proud to share that MATCHBOX GIRLS, from Candlemark & Gleam, has officially been launched into the world. You can still enter for a free copy by checking out the ongoing blog tour (linked below). I also figured out how to reorganize the menus at the top of the page and now there’s a landing page for the book linked in up there. There will be digital book giveaways at some (all?) of the blogs, plus there’s an overall grand prize which includes a paperback copy of the book and a number of other goodies. Here’s a widget to enter (or you can go to the main C&G post linked above). It’s one of those ‘earn multiple entries’ kind of thing, so check it out.